The Arch Deviant: 23/04/2016 La Der des Ders en librairie aujourd'hui! 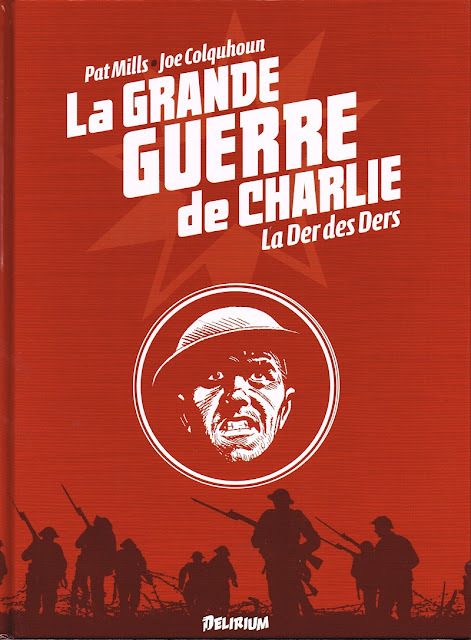 23/04/2016 La Der des Ders en librairie aujourd'hui! 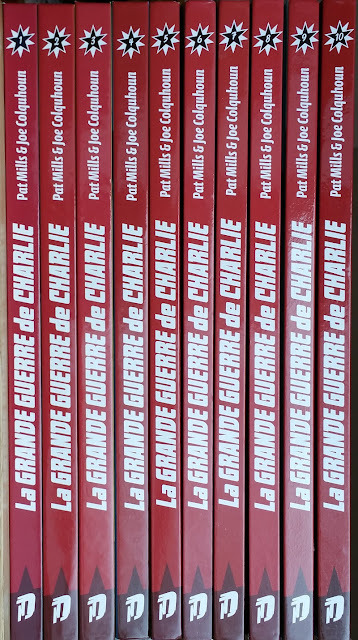 Le dernier et ultime tome de la série La Grande Guerre de Charlie (tome 10 La Der des Ders), est en vente depuis aujourd'hui. 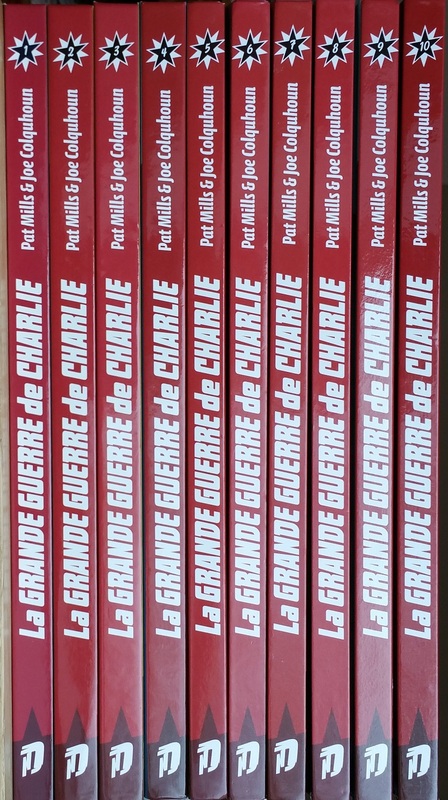 Un magnifique travail et un sans faute de la part des éditions Delirium! Encore bravo! This blog is a complement to the French wiki page dedicated to Pat Mills, with the obvious aim to have illustrations associated with all the works published by Mr Mills on any form. If on the wiki page only the latest paperback are cited, I will try here to also detailed all the publishing forms associated with a particular story. For 2000AD material, this goal has been previously attempted by the indispensable Barney's database (see links). The task is of course gigantic, so it will take some time before all displayed main sections are activated. I will try to stick with Pat Mills current activity and paperback releases to progress through his impressive bibliography. Description sheet of each individual book or comic can be reach by cliking on its picture caption hypertext link. Note that user of chrome navigator seems to experienced banner display problem when ABP is active. All Material published on this blog is copyrighted and the exclusive property of their respective owners and are only used for illustrative purpose. Appart 2000AD's covers from prog I don't already own, a large majority of published scans are from my personal collection. The author of this blog deeply thanks all the contributors of the invaluable 2000AD's Barney's database (see links).